DEPOSIT: Please note: Because contract rates of most tour operators around the world are in U.S. Dollars, all tour prices on our website are quoted in U.S. dollars. A non-refundable deposit (insurable) of $500 per person (preferably in USD but it can be in CAD if you reside in Canada and don’t mind exchange rate adjustment at time of final payment) is required when you make a reservation. Click one of the buttons on the right to instantly reserve a space with any major credit card via the Paypal system. Payments to us are covered under the T.I.C.O. compensation fund. Travel Insurance for CANADIANS: After clicking $CAD button to reserve, for general info click: http://www.allianz-assistance.ca/en/ and email us to request we add it to your invoice. Or, please call us for more information on insurance. Pre-departure, final balance, and what-to-bring information will be sent to you upon receipt of your deposit. The balance (insurable) is due at least 60 days prior to departure unless otherwise noted for specific trips. As noted above, prices are in U.S. dollars, based on “twin-share” travelling and land costs in effect at the time of deposit/reservation. If you want to ‘lock-in’ the prevailing exchange rate for USD at any time, you can pay your balance due and we will guarantee that exchange rate price, no matter what fluctuations happen with exchange rates up until your trip departure. However, prices are subject to change prior to when you make your final payment, but if the price increases more than 7%, except increases resulting from an increase in retail sales tax of Federal Goods and Services Tax, the customer has the right to cancel their trip and obtain a full refund. PLEASE NOTE: The final balance payment of your land cost must be paid by personal cheque, or bank wire transfer, which we welcome. However, if you wish to pay the land cost by credit card using our link to the Paypal system, please add 3.5% to your balance. Most air tickets and insurance can be paid directly by credit card at no additional cost. By making a reservation, you acknowledge that you have read and agree to the terms and conditions below. Single supplement: A supplementary charge is only applicable to those who prefer and specifically choose to stay on a single occupancy basis. Otherwise we try to match people travelling on their own with others of the same gender also travelling single. When we are unable to match an individual with anyone else due to non-availability of another single person on a particular trip, a ‘forced single’ supplement fee is applied which is usually about 50% of the published single supplement for most trips. 60 or more: $500 non-refundable deposit. 30 to 59: 70% of land cost. 00 to 29: 100% of land cost. (No refunds on no shows or unused portions of trips). Airfare cancellation fee depends upon airline cancellation policy. Please check with us. Canadian Himalayan Expeditions Ltd., o/a International Adventure Travel, hereafter referred to as the company, acts as agents for transport companies, hotels and other contractors and shall not be held liable for any injury, damage, loss, delay or irregularity that may be occasioned for any reason, including, but not limited to, any defect in a vehicle, the acts or default of any company or person engaged in conveying a passenger, acts of God, detention; delays or expenses arising from quarantine, strikes, thefts, pilferage, force majeure, civil disturbances, government restrictions or regulations; accidents by aircraft, boat, bicycle or motor vehicle, or in any hotel, inn, restaurant or accommodation; failure of any means of transportation to arrive or depart as scheduled or changes in transit, hotel, inn, guest house or camping services. The passenger understands that during the course of the trip certain risks and dangers may occur, including but not limited to the hazards of travelling in mountainous terrain, accident or illness in remote places without medical facilities, and the forces of nature. The passenger agrees to assume all risks associated with the journey and agrees that no liability will attach to the company or its outfitters, employees or agents, or to any member of the tour group in respect of death, personal injury, illness or delay of the passenger, or for any loss of or damage to the property of the passenger during the course of the trip, howsoever caused. The company reserves the right to withdraw, alter or otherwise modify tours, itineraries, specific programs or activities at any time without notice, or to cancel any tour prior to departure. In such a case, full refund of all payments will constitute full settlement with the passenger. The company is not responsible for any additional expenses incurred by members preparing for the trip. The company reserves the right to decline, to accept, or to retain any person as a member of any party at any time. Claims: Any claims arising out of or relating to any tour must be made on pain of nullity in writing and within 30 days of the return of the passenger from their trip. Any legal proceeding which is properly subject to the jurisdiction of Canada or any Canadian province must be instituted on pain of nullity in the judicial district of Toronto, Ontario exclusively, and within six months after the return of the passenger from their tour. Photographic Records: The company reserves the right to take photographic or film records of any of its trips, and to use such photographic or film records for promotional and/or commercial purposes. Ontario retail registration No. 2772298 & wholesale registration No. 2772304 (1987). Your payments are insured under the Travel Industry Council of Ontario (TICO) Travel Compensation Fund. All meals while on trek/river/jungle trips, wildlife safaris or in other isolated areas. All major equipment such as tents, insulating foam mattress, utensils, stoves & fuel while on trek/river/jungle trips. Porters/yaks/mules to carry heavy equipment and personal gear. Group leader, Sherpa/local guides, and cooks. All local ground/air transportation from city of origin. Hotel accommodation, on a twin share basis, when not trekking or on other activities. All transfers to and from airports, arrival and departure assistance, and reconfirmation of tickets if air ticket is purchased through us. Informed and friendly pre-trip support from our Toronto office. All trips are priced and scheduled starting and ending in the city of origin. From North America 1 to 2 days should be added to itineraries for air travel time. For all of our group trips we can usually arrange flights with major airlines such as Air Canada, American Airlines, British Airways, Emirates, Singapore Airlines, Thai Airways, and Cathay Pacific. At present, return ticket fares from North America to most of our destinations are around $2000 depending on city of departure, airline and season. We can also arrange around-the-world and one-way air tickets. Need a ticket… give us a call! 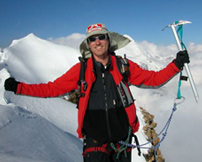 You can contact Canadian Himalayan Expeditions Ltd. directly for more information. Our friends at AirTreks can get you around the world for less than US$2500! Click the logo above for more information.